Opponents used to fear Patrick Willis on the gridiron, but now fish fear him on the water! The hard hitting defensive linebacker was an absolute beast for the San Fransisco 49ers. Then he decided to retire from the NFL at just 30 years old in 2015 (on his own terms after an amazing short lived career due to the desire to preserve his body and health for the future of his own well-being). Now days, he is hitting it just as hard on the water. Patrick Willis is living a strong, healthy, and very happy life outside of football. Aside from his ongoing endorsements, personal entrepreneur investment opportunities, and extraneous workout routines, he enjoys being laid back and relaxed during his downtime by getting out on his Nitro Z-8 bass boat to go fishing as often as he desires. Bamm Bamm seems to mostly enjoy freshwater fishing for largemouth bass on the California Delta waterways and a few nearby lakes. However, he has also been known to dip a line in the ocean for a little saltwater fishing, as well. Patrick Willis #52 - San Francisco 49ers linebacker - retired and gone fishing! 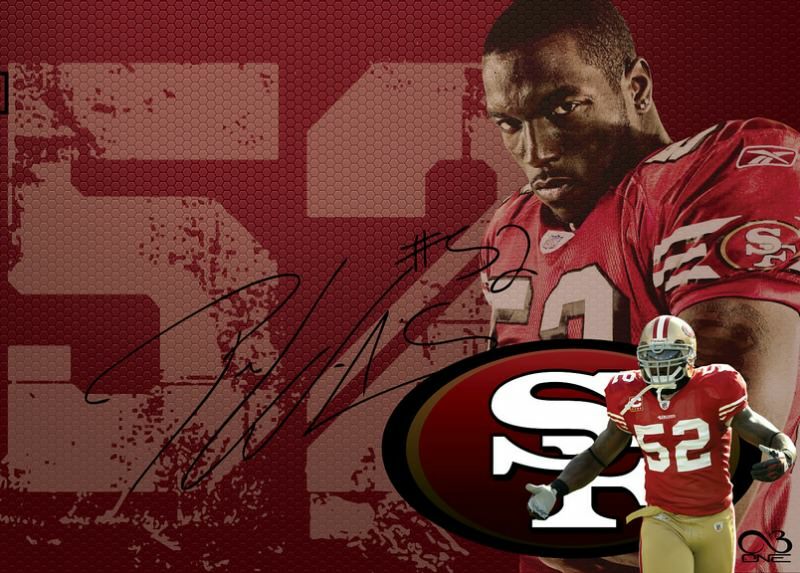 The following are 20 pictures and videos that Patrick Willis has posted on his Instagram page. There are a bunch more that he has put up on his feed, over 40 fishing related pics so far. These are just a few favorites, and some that show a little variety of his fishing adventures. Pat caught this largemouth bass using a soft plastic brush hog creature bait. "Not too shabby", he states. His fishing rod is inscribed with "LUKE 1:37". Different versions of the Bible vary, but the verse basically states that "For with God nothing shall be impossible." The fedora hat is a good touch, but most importantly helps shade the sun, too. Ouch! That's gotta sting just a little. A decent size largemouth and striped bass. Both of those fish look a little thin. Now these are a couple fatties. This is one of my favorite pictures - Patrick Willis holding a couple big largemouth bass. Pretty sweet boat. Nitro Z8 bass boat powered with a Mercury motor, with all the bells and whistles. Patrick Willis got the opportunity to go fishing with another former San Francisco 49er great. William "Bubba" Paris played offensive lineman for the team between 1983 to 1990. And those are some pretty nice largemouth bass caught on spinnerbaits . Here's a few more bass on spinnerbaits after a day on the water with Bubba Paris. He foul hooks into a carp in this video. This appears to be the first carp that he's ever caught. Although Pat didn't catch anything, it sounds like he had a great time watching these kids catch a few good bass... Young and Hungry. This video shows him swinging a bass into the boat that he caught using a chatter bait. A couple more good sized largemouth bass. "Yup, finally got 'em", as he states in this video. He hooked this bass with a senko. The YETI hat is cool too, don't you think so? Get your very own YETI Custom Camo Hat today, before they run out of stock. A couple striped bass from the California Delta. They both appear to just be of legal size limit, barely over 18", but I'm sure he set them free back into the water. Catch and release fishing. An ice chest full of striped bass that he caught while fishing along with a couple of his former 49er teammates - inside linebacker Takeo Spikes and running back Garrison Hearst. I had an awesome time fishing this morning with my fishing buddies @takeospikes51 @dlwarfield @garrisonhearst5 now time to clean them n then get my workout in! Oh and We caught alot more as the morning went on! Video showing Pat hauling in one his stripers into the boat. Takeo Spikes and Patrick Willis both with trigger fish. And you know we had to fish. Ok question who fish is bigger mine or @TakeoSpikes51 fish? We both caught trigger fish! Apparently he was bank fishing and this is one of the crappies that he caught. I'm not sure if it's the camera angle or what, but that looks like a nice big slab! I included this one because this is the first picture about fishing that he posted on his Instagram feed. Patrick Willis caught this largemouth bass while fishing with Randy Moss.